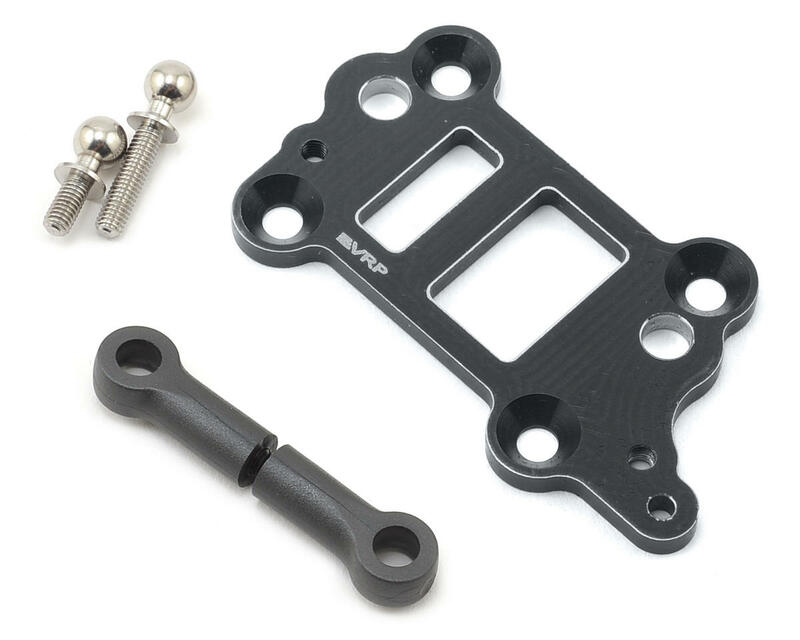 The VRP Associated RC8B3 Aluminum Center Upper Plate is CNC machined from American 7075 grade aluminum. This center diff plate is a direct bolt on and features an additional servo brace to help eliminate servo tray flex, and improve braking power with less servo torque. 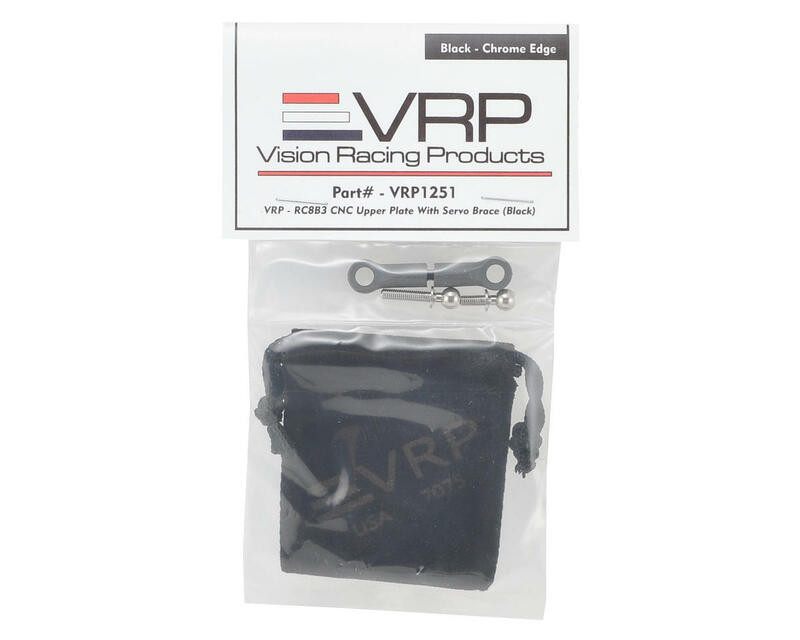 This helps to reduce strain on the servo and provide a more consistent brake feel during long runs. Package includes center plate and hardware. NOTE: This is not compatible with Hitec servos. A simple solution to a real problem. This link connects the servo to the center diff, the problem is when you are hard on the breaks the servo mount / chassis actually flexes so the breaks do not stop as hard as they should. You could drill and tap a hole in the stock upper diff plate; buy ball studs, ball cups, and a tie rod and do this yourself. But it would cost you more than this ready to go part, and wouldn't look as good either. My only complaint that is stopping me from giving this 5 stars is the gap in the tie rod linkage and the length of the tie rod. VRP took B5 ball cups and cut them shorter for this application. However, they are too short. There is about a 5-6mm gap between the ball cups, then they gave you a tie rod (long set screw) to use as the tie rod that is only about 10mm long. This means you only have 2-3mm of threads in the ball cup. I really would have liked to see the ball cups a bit longer or a longer tie rod. And the reality is there the length should be pretty much the same since the top plate and the servo mounting position are always the same, so there is no reason why this should not have been addressed before releasing the product. We have started cutting the rod ends a more effective way. There should only be a 1-2mm gap between them when screwed onto the long set screw.